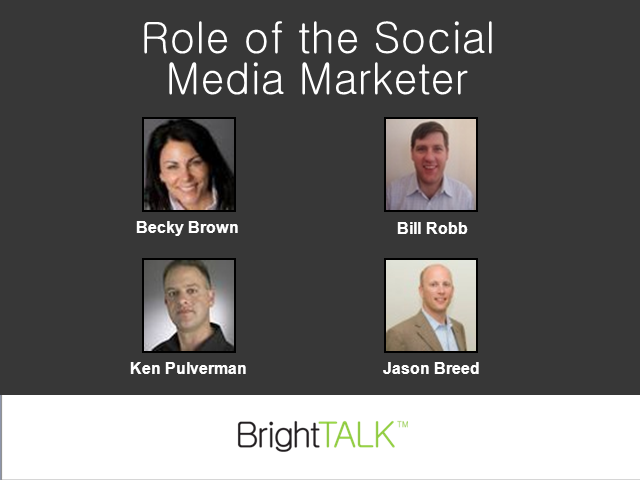 Join this panel presentation discussing the rapidly evolving role of the social media marketer. Which skills will become a necessity for all marketers, which will be most valuable, and what opportunities lie ahead for social media experts? The expert speakers will explore these pressing questions and more during their Social Business Week webcast.